THURSDAY'S NEW COINS HAVE ARRIVED! 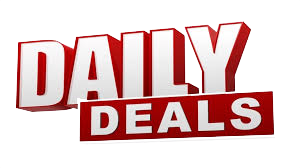 UPDATED ON 04/18/2019 NEW DEALS EVERY DAY! Beautiful vivid luster with touches of attractive light gold toning and a bold strike including a full head! A scarcer date in BU, especially with a full head! Beautiful luster with some touches of gold toning on each side and some gold-toned water spots on the obverse. A scarce date in this high grade and jumps to over $1,000 just one point higher! An exquisite coin with no obvious bag marks and light golden lustre. A very scarce type, but rarely seen with such magnificent eye appeal! This gem specimen displays a gorgeous mix of red and brown with beautiful luster and eye appeal. A scarce date in this high grade and priced below Greysheet! Gorgeous sunset gold toned luster with touches of ice blue on the high points. This scarce date is boldly struck with gorgeous eye appeal, and very rare in this high grade! Greysheet is $21,500 one point higher! An absolutely gorgeous coin with vibrant gold toned luster and touches of magenta and light blue around the rims. Coin is boldly struck with amazing eye appeal. One of the nicest examples of this scarce date we have offered! Beautiful mix of red and brown with near mark free surfaces! An exceptional 150 year old obsolete Two Cent Pieces that still has plenty of mint luster remaining! Lovely even gold toned luster with a sharp strike including a split tail on the bison. A scarce early date that is rare in this high grade! Obverse has stunning, vibrant gold toning with a very thin strip of ice blue around the denticles. Reverse is white with gorgeous vibrant gold toned rims. A nearly mark-free specimen with superior eye appeal! Handsome medium brown color with sharp AU detail. This legendary doubled die Lincoln Cent shows dramatic doubling in the date, Liberty and In God We Trust. 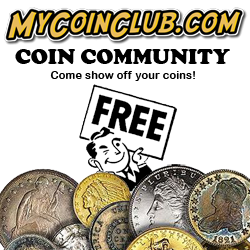 Coin has nice eye appeal and no problems! Beautiful golden gray luster with nice eye appeal and minimal marks for the grade. A lovely example of this legendary key date and one that we rarely able to offer in minstate condition! Vibrant white luster with beautiful gold toned rims and a hint of blue. The fields have amazing, deep mirrors with cameo devices creating spectacular eye appeal! An original specimen with nice luster and somewhat speckled, deeper gold toning on the obverse. Reverse is white with a small, beautiful area of gold and magenta toning at the bottom rim area. A scarcer date, and scarce in this high grade! Comes with a green CAC sticker of approval! Greysheet is $1,150 in MS67! A lovely coin with about 75% golden red luster and a bold strike. A scarcer date, especially in higher grades! A gorgeous coin with a nearly full red obverse, and a red reverse with some swirls of brown in the center. A tougher date Two Cent Piece and very scarce this nice! A beautiful proof three cent nickel with very subtle hints of light gold toning and nice eye appeal. Just 1,100 of these proofs were minted! "VF Detail - Damage" This scarce, old silver dollar has VF detail with very heavy rim damage in several places of both sides. Coin also has many nicks and scrapes on the surfaces. Despite the damage, the majority of the detail is still clear, except for some select areas on the rims. This old dollar is not going to win a beauty pageant, but you got a LOT of detail for the price! Greysheet is $2,300 in VF20, $1,425 in F12 and even $800 in G4. We have this one priced below a G4! Golden lustre on both sides. BU Barber Halves are priced very low in the current Market. An excellent buy! Obverse has beautiful toning in shades of sea green and a touch of yellow/orange around the rims. Reverse has lustrous, original gold toning. A lovely example of this scarce date Morgan! A gorgeous coin with deep, lustrous gold toning on both sides. A boldly struck example with nice eye appeal! Greysheet is $675 in AU58 and $950 in MS60! Beautiful luster with a subtle hint of very light gold toning. A very scarce date in MS65! Nice and original with lustrous deeper gold toning. A scarce issue with just 15,400 ever minted! Attractive surfaces with handsome chocolate brown color. This scarce date is the final year of issue and the rarer Small Date variety, as noted on the holder! Pleasing original surfaces with a bold Liberty and no problems. A scarce date with just 593k ever minted! A gorgeous specimen with vivid luster and gorgeous gold toning around the peripheries. Amazing eye appeal on this beauty! As Morgan dollar collectors know, this date is seldom available in quality MS grades. This one is beauty creamy white lustre and just a trace of toning. A good buy on a rare date. Handsome original gray color with a bold date and mintmark. There is a larger edge ding on the reverse at 1:00, otherwise problem free. A lovely, affordable example of the scarcest date Carson City Morgan! An original specimen with some deeper gold toning around the lettering and recesses. The surfaces are nearly mark free and lustrous, though the luster is a bit muted from the original layer of toning. A scarce commemorative with just 27,134 ever produced! Absolutely gorgeous, vivid white luster with a very clean cheek! A scarce date in this high grade! "XF Details - Damage" A scarce date with attractive colorful toning on both sides. There is a larger nick in the right obverse field, and it appears the area has been burnished in attempts to smooth it out. Greysheet is $1,200 in XF40 and $600 in VF20! Beautiful white luster with a sharp strike and nice eye appeal. This is the third lowest mintage Morgan with just 330,000 minted! Absolutely breathtaking warm, golden brown color with a razor sharp strike. There is a small, circular depression in the right obverse field about the size of a star, that appears to be mint made. Otherwise, the surfaces are nearly flawless with hardly a mark on the coin. Gorgeous eye appeal and very tough to find this nice! Obverse has full toning in various shades of slightly specked gold and a hint of light sea green towards the bottom. Reverse has various shades of slightly speckly, dusky gold toning in the center. Unique toning on this very high grade Morgan that is tough to find in MS66!